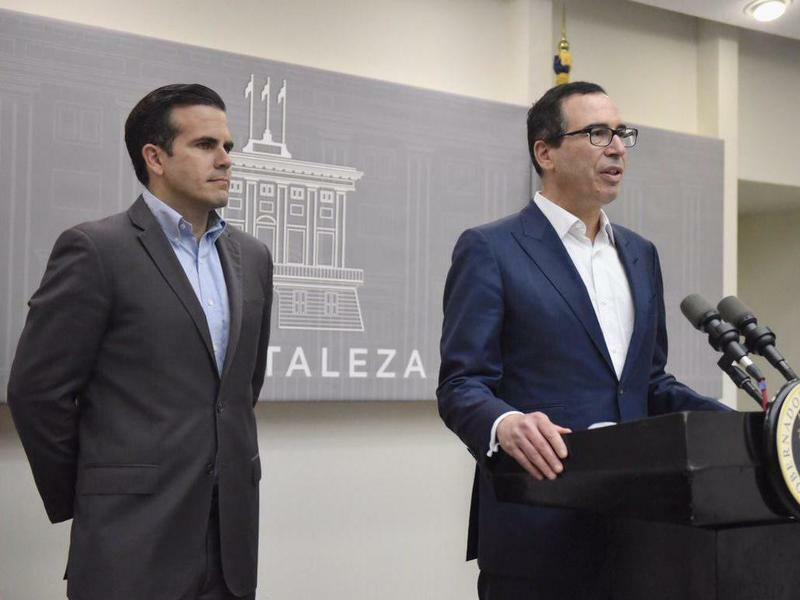 Standing at a lectern before reporters Thursday, Carlos Acevedo, the head of Puerto Rico's emergency management agency, made an admission. 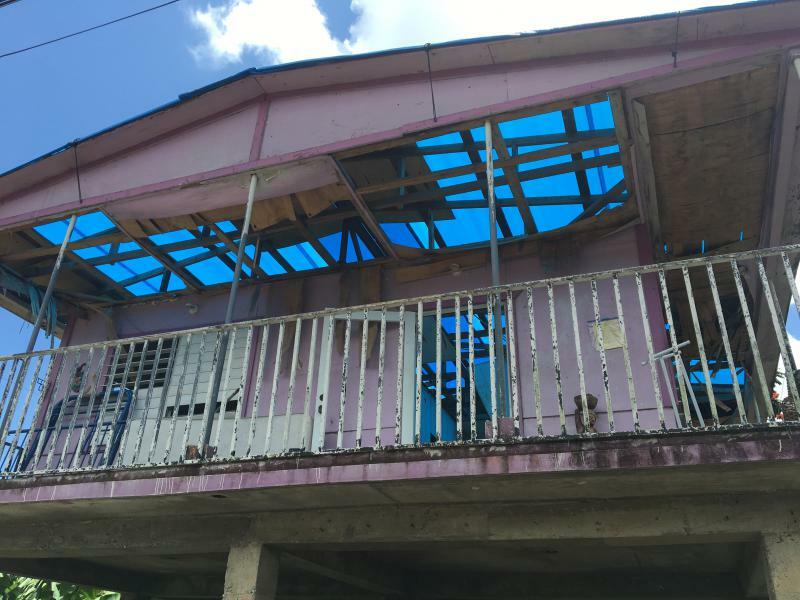 Before Hurricane Maria, he said, the island's government did not take updates to its hurricane response plans seriously. 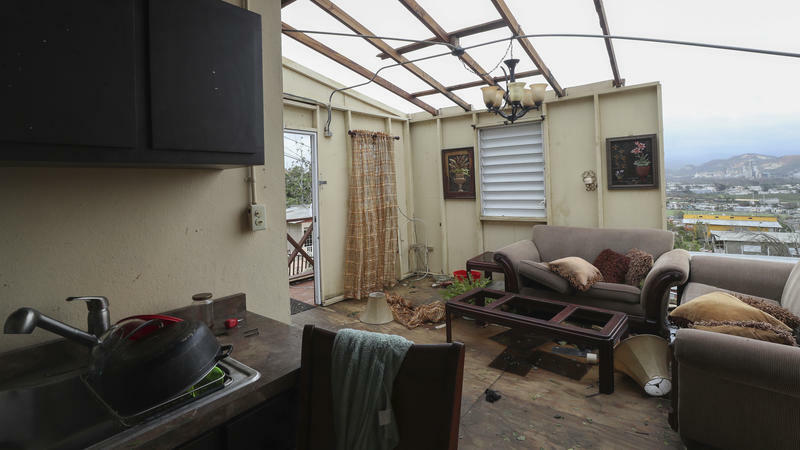 "Before Maria, updating our plans was very easy," Acevedo said. "We would take the first and last pages, remove them, replace them with new pages, sign them, and there was the new plan." 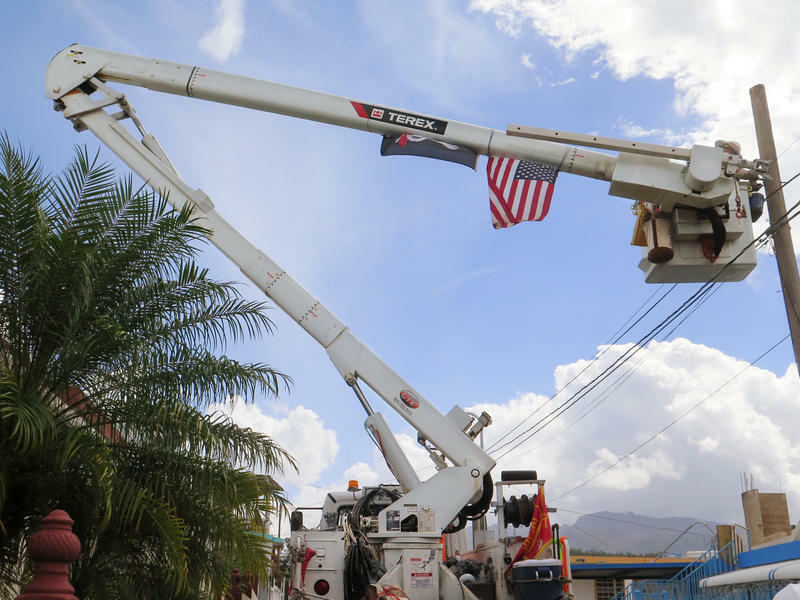 As Puerto Rico continues its recovery from Hurricane Maria, officials on the island are preparing for billions of dollars in federal reconstruction aid that will begin flowing in the coming months. One tree was all it took. 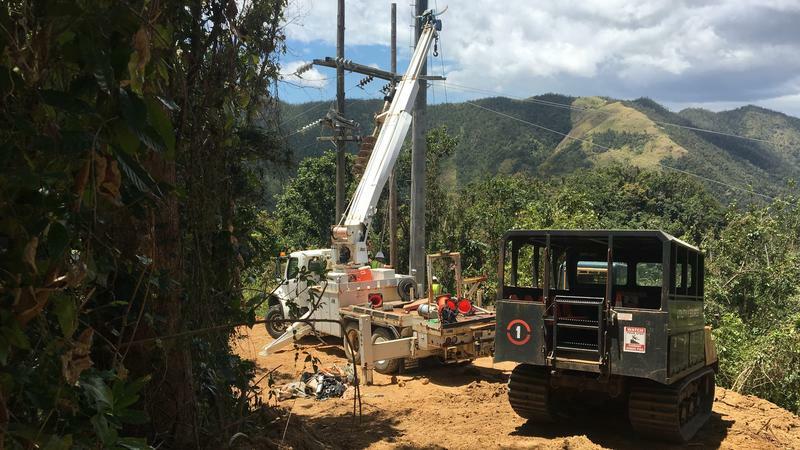 Around 12:30 p.m. on Thursday, a wayward trunk tumbled over onto a major transmission line in Puerto Rico's still-fragile electrical grid and cut power to roughly 840,000 customers, affecting more than half of the island's population. For months, Puerto Rico Gov. 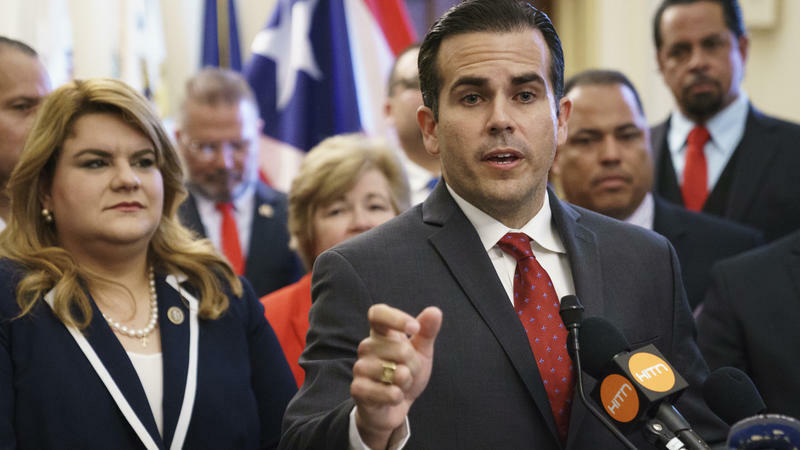 Ricardo Rossello has been struggling to get the U.S. Treasury to release $4.7 billion in disaster recovery loans that the U.S. Congress approved in October, weeks after Hurricane Maria devastated the island commonwealth. U.S. Treasury Secretary Steven Mnuchin had delayed releasing the loans because of disagreement over the terms of repayment. On Thursday, the two men said they had reached a deal to allow the funds to start flowing. José López doesn't have a deed for the little house at the edge of a dairy farm where he was raised and still lives — only the stories his grandfather told him about how the house came to be. It began with an agreement between gentlemen 39 years ago. 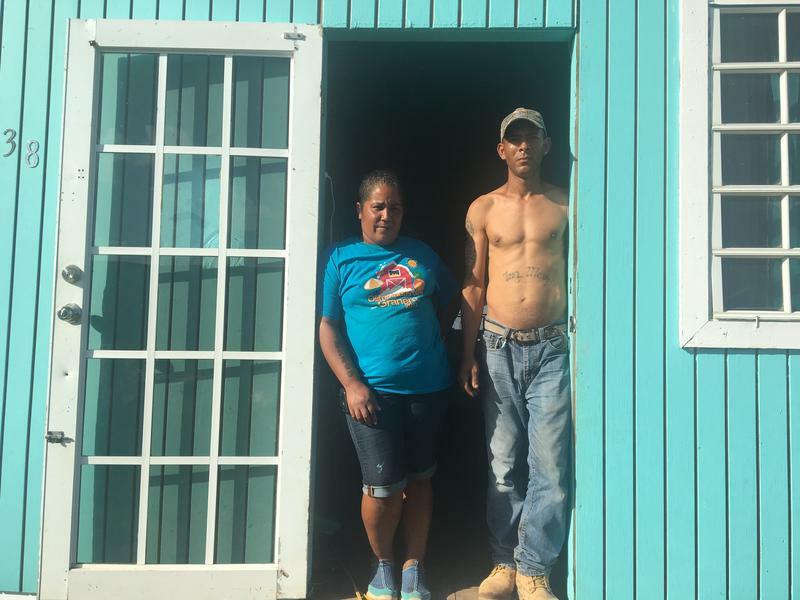 His grandfather, a foreman on the farm, needed a house for his recently divorced daughter, López's mother. So he asked the farm's owner if he could have a little corner of the sprawling estate to build her one. 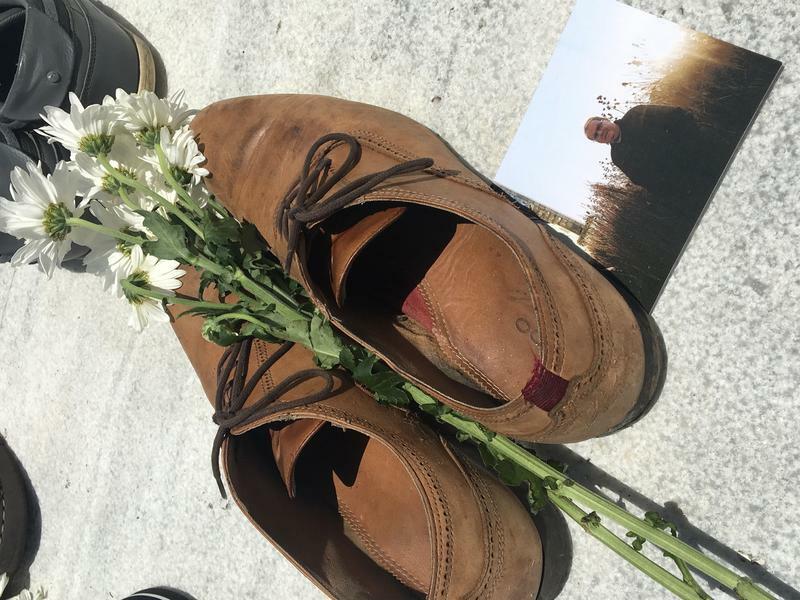 "My grandfather worked on the farm for 44 years," López said, "and his boss was a good man. He said yes." 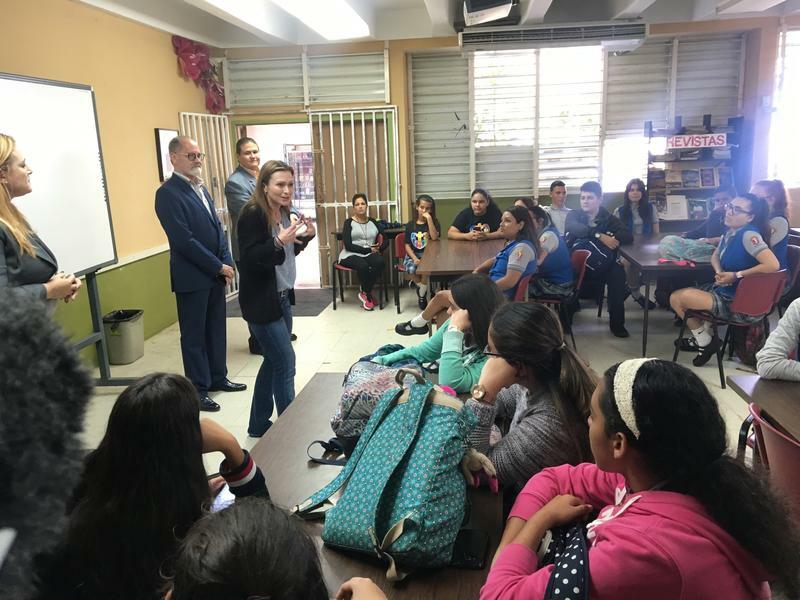 Julia Keleher, Puerto Rico's education secretary, stood in front of a school library full of high school students and asked them to do something students in Puerto Rico's public schools aren't often asked. "Take out your phones," she said. "Look up the definition of charter school." A girl's hand shot up. "A charter school," the girl read, "is a school that receives government funding but operates independently of the established state school system in which it is located." 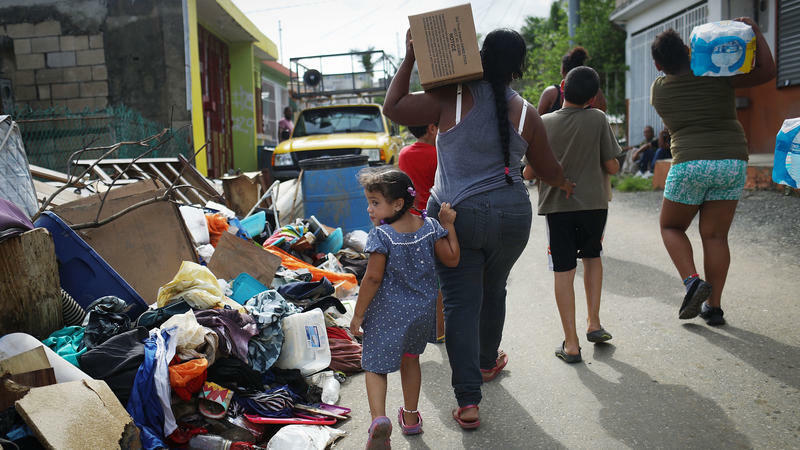 A spokesman for the Federal Emergency Management Agency said Wednesday that the agency's plan to end its distribution of emergency food and water in Puerto Rico and turn that responsibility over to the Puerto Rican government would not take effect on Jan. 31. 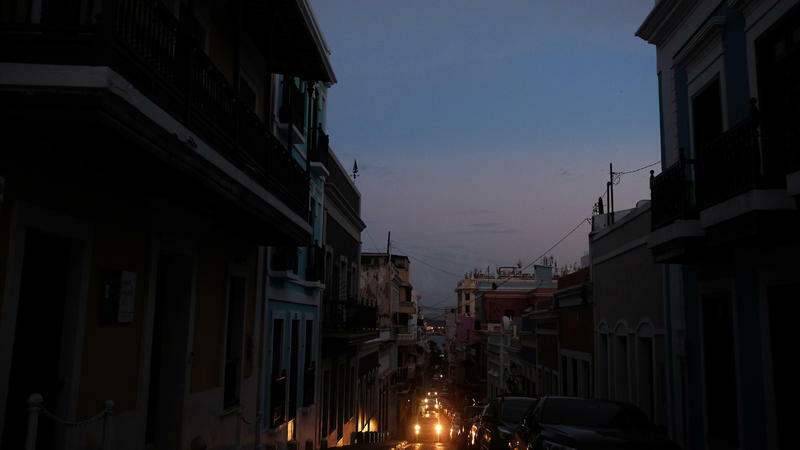 In the days after Hurricane Maria devastated Puerto Rico, residents of some of the hardest hit rural areas found themselves stranded — cut off from more populated areas by mudslides, crumbled roads and bridges, and toppled trees and power lines. 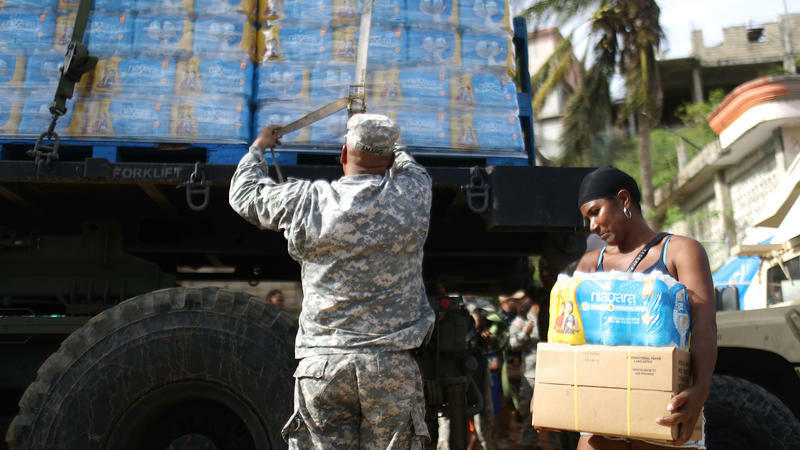 In those early days, the only food and water many of these communities received arrived by helicopter, sent by the Federal Emergency Management Agency. Puerto Rico Gov. 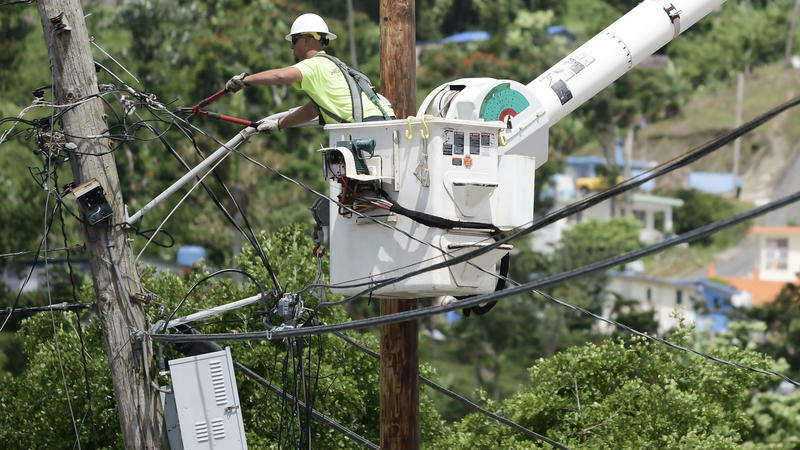 Ricardo Rosselló has asked the Justice Department to investigate the island's public electric utility after federal agents said they found large quantities of critical rebuilding materials stored in a warehouse owned by the public company. Valery Pozo still gets angry thinking about it. 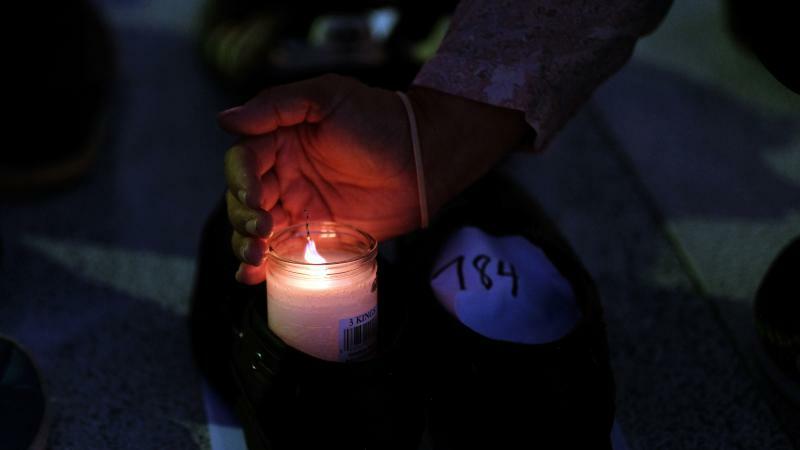 It was about a decade ago, and the immigrant communities in her hometown, Salt Lake City, were on edge because of recent immigration enforcement raids in the area. Pozo's mother, an immigrant from Peru, was on the sidelines at her son's soccer game when another parent asked whether she was "illegal." 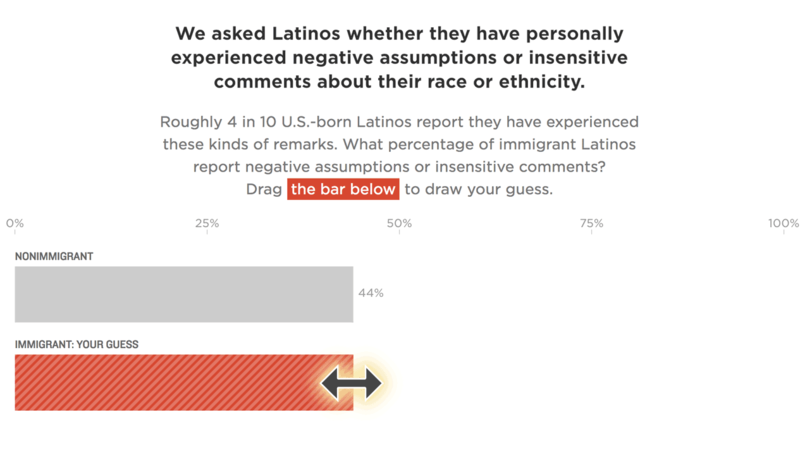 "To me, that was clearly a racist question and a racist assumption," Pozo recalled. But her mother saw it as a harmless comment, despite Pozo's best efforts to convince her that it was something bigger.